From where Peggy Sheahan stands, deep in rural Colorado, the last eight years were abysmal. Otero County, where Sheahan lives, is steadily losing population. Middle-class jobs vanished years ago as pickling and packing plants closed. She's had to cut back on her business repairing broken windshields to help nurse her husband after a series of farm accidents, culminating in his breaking his neck falling from a bale of hay. She collects newspaper clippings on stabbings and killings in the area - one woman's body was found in a field near Sheahan's farm - as heroin use rises. "We are so worse off, it's unbelievable," said Sheahan, 65, a staunch conservative who plans to vote for Donald Trump. 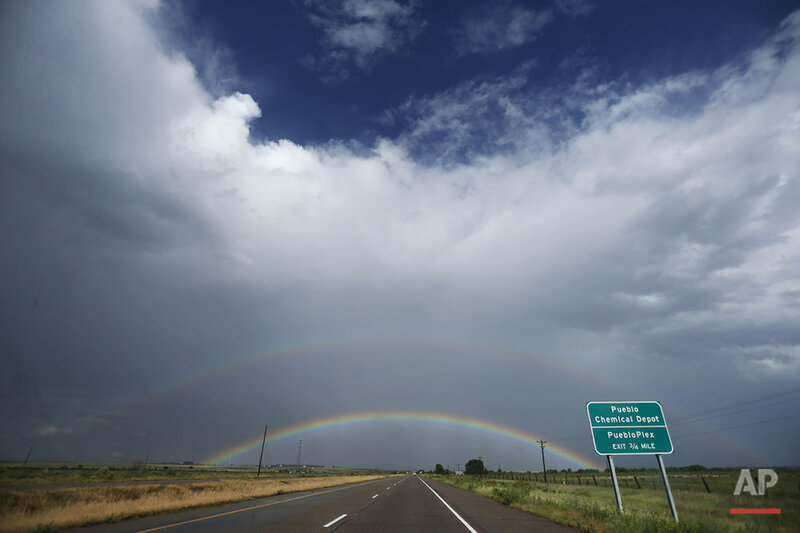 In Denver, 175 miles to the northwest, things are going better for Andrea Pacheco. Thanks to the Supreme Court, the 36-year-old could finally marry her partner, Jen Winters, in June. After months navigating Denver's superheated housing market, they snapped up a bungalow at the edge of town. Pacheco supports Hillary Clinton to build on President Barack Obama's legacy. "There's a lot of positive things that happened - obviously the upswing in the economy," said Pacheco, a 36-year-old fundraiser for nonprofits. "We were in a pretty rough place when he started out and I don't know anyone who isn't better off eight years later." But then, she doesn't know Peggy Sheahan, and that makes sense: There are few divides in the United States greater than that between rural and urban places. Town and country represent not just the poles of the nation's two political parties, but different economic realities that are transforming the 2016 presidential election. "The urban-rural split this year is larger than anything we've ever seen," said Scott Reed, a political strategist for the U.S. Chamber of Commerce who has advised previous GOP campaigns. "More and more economic activity is happening in cities as we move to higher-value services playing a bigger role in the economy," said Ross Devol, chief researcher at the Milken Institute, an independent economic think tank. "As economies advance, economic activity just tends to concentrate in fewer and fewer places." That concentration has brought a whole host of new urban problems - rising inequality, traffic and worries that the basics of city life are increasingly out of the reach of the middle class. Those fears inform Democrats' emphasis on income inequality, wages and pay equity in contrast to the general anxiety about economic collapse that comes from Republicans who represent an increasingly desperate rural America. Meanwhile, rural areas have been especially slow to recover from the Great Recession that began in 2008: The most recent study by the U.S. Department of Agriculture found that, as of 2014, rural areas still had not regained all the jobs lost in the recession while metropolitan areas had. Three-quarters of what EIG classifies as the nation's economically distressed ZIP codes are in rural areas. An Associated Press analysis of EIG data found that the economies of central cities suffer slightly less now than in 2000, while those of areas that house the majority of the nation's rural population have grown worse. "A lot of these communities are wondering what are we going to do and to some extent Donald Trump is talking to that," said the Milken Institute's Devol. "They're not part of the modern global economy. They feel like they've been left behind through no fault of their own." The state's sprawling metropolitan areas from Denver to Colorado Springs is known as the Front Range. As it has grown to include nearly 90 percent of the state's population, it has trended Democratic. Rural areas, which have become more Republican, resent Denver's clout. In 2013, a rural swath of the state unsuccessfully tried to secede to create its own state of Northern Colorado after the Democratic-controlled statehouse passed new gun control measures and required rural areas to use renewably generated electricity. "There's a lack of interest in both parties - in urban, rural communities - in knowing what the others' needs are," said Jim Rizzuto, president of Otero Junior College. Bill Hendren certainly feels left behind, which is why he's a Trump backer. "I don't ever see a president caring about anyone who's living paycheck to paycheck - if they did they'd have put the construction people back to work," Hendren said. "Trump's got the elite scared because he doesn't belong to them." Hendren is effectively homeless. His pickup truck was stolen 18 months ago. In a city this would be less of a problem because he could get around by public transportation or even Uber, but in Otero County he can no longer perform the odd jobs at farms and houses that had supported him for years. He's living temporarily rent-free in an old cottage on a small rural property that relies on a Franklin stove for heat. Piled up in the front room are carvings of dragons from downed tree limbs that he sells at the local trading post, along with what he calls his "redneck signs" - handcarved posts with warnings like "I Call 911 After the Gun is Empty." He keeps in a pouch a molar that he had to pull out himself when it started to hurt him last winter, and his spare change - a little over $4 - in a clear plastic cup. Hendren, 55, once worked in Texas nightclubs but there's nothing comparable in Otero County, where the largest town has a population of 6,900. "There ain't nothing here," he said. "There's nothing." 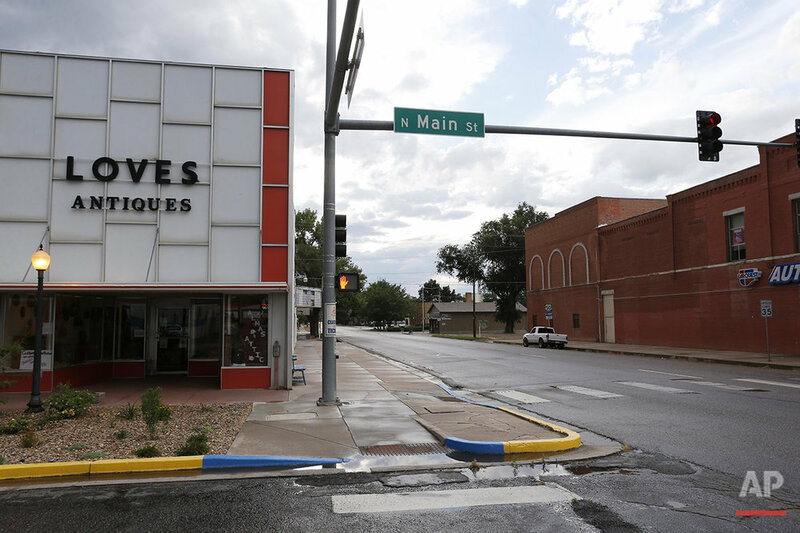 Otero economic development officials have lured some light manufacturing over the years; locals are excited that their first brewpub will open in the county seat of La Junta, while others in the hamlet of Manzanola are rehabbing downtown's old, stately brick buildings. That stands in sharp contrast with the rest of Colorado, which is one of the fastest-growing states in the nation. Most of the population growth is concentrated in the stretch along the Rocky Mountain foothills around Denver. Esther Padilla and her family used to sell their fruit there more than a decade ago and would gape at the new houses, strip malls and subdivisions being built. "It's grown big time," Padilla said, "but us, we're still in the same boat." -New York City's population grew by 375,000 between 2010 and 2015 while population in the largely rural areas outside the city's suburbs shrank by 14,000. -In Virginia, the northern part of the state that serves as Washington D.C.'s commuter suburb accounts for three-fifths the state's population growth, while counties in its rural southwestern edges are shrinking. -Half of North Carolina's recent population growth came from the counties that include Charlotte and Raleigh-Durham while 48 rural counties actually lost population there. Those shifts have put North Carolina, Virginia and Colorado in play during presidential elections, and Democrats see the population shift to cities as helping them against Trump. While the majority of voters live in suburbs and exurbs between the parties' two poles, the differing economies of town and country are helping shape the election. A common complaint across rural America is that big cities don't understand their issues and get all the resources (though political scientists Gerald Gamm and Thad Kousser published a paper in 2013 that found that rural representatives had more success passing bills in state legislatures than did their city colleagues). "If we had one-tenth of one percent of tax revenue that went down that railroad track out here our roads would be super highways, the yellow lines would be gold," said Jimmy Simpkins, a retired coal miner in West Virginia's Mingo County. "The politicians took our money and took it to Charleston and to Washington D.C. You go up there and they have the finest of roads, the finest of everything." 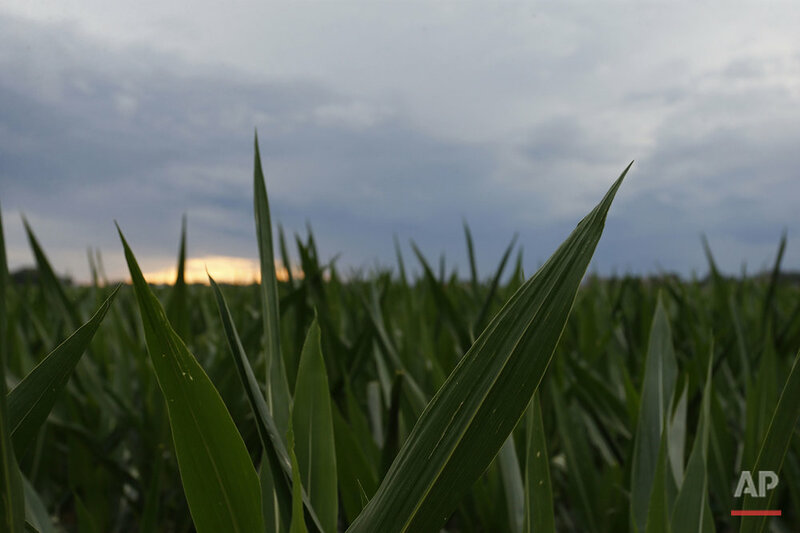 Southeastern Colorado's precious water is often diverted to keep green the lawns of the Front Range's mushrooming suburbs, limiting the amount of farming in Otero and its neighboring counties. Residents are painfully aware that they lack the numbers, and corresponding political clout, of Colorado's urbanites. Kevin Karney, an Otero County commissioner, noted that the state Department of Transportation doesn't plow Otero's roads in the winter overnight, because its crews have been shifted to keep snow-free the interstate running from Denver to Colorado's ski resorts. "It's like rural Colorado doesn't matter," Karney said. Eric Van Dyk feels overlooked. The 40-year-old farms as a labor of love - he works fields of hay, corn and small grains, then hustles to the town of Rocky Ford where he teaches agriculture at the local high school to pay the bills. The running joke in the region is that farmers have to have a day job to support their hobby. "A new tractor is $150,000 and up and the price of corn is still what it was in the 1980s," Van Dyk said. Van Dyk is happy with his rural life - its quiet, close community ties and a connection with the land that an urbanite who dines at organic restaurants will never fathom. But he's aghast at what he sees as a rising number of people in his county relying on food stamps rather than hard work but acknowledges it's tough to make a living in Otero County. Denver is one of the fastest-growing cities in the nation, with a 3.3 percent unemployment rate and a housing market that has risen 45 percent since 2012. Once dependent on the energy industry for jobs, the city has diversified its economy enough that the recent downturn in fuel prices has barely hampered a booming economy powered by technology and health care jobs. 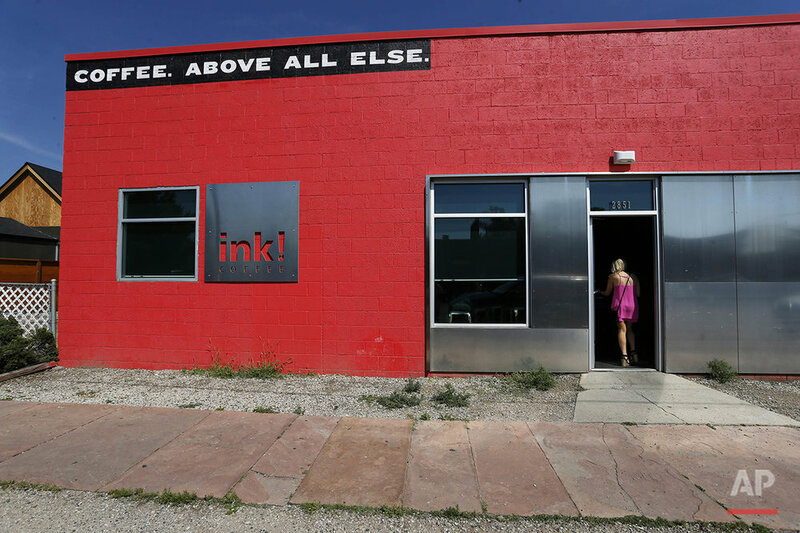 "We have become a global competitor," said Tom Clark, chief executive officer of the Metro Denver Economic Development Corp. "Now we're competing with Dublin. We're competing with cities in Spain, we're competing with Japan." Still, Denver and cities like it around the country grapple with economic anxieties that are completely different from those of Otero County farmers. 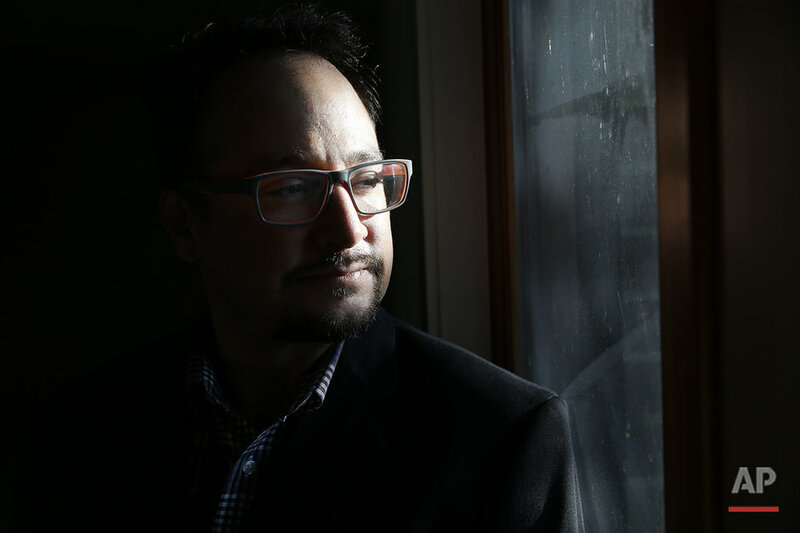 Rafael Espinoza is an architect who was elected to Denver's city council last year as part of a group of candidates questioning the value of Denver's runaway growth. Espinoza has seen his neighborhood of modest bungalows occupied by largely Latino families abruptly transformed into a collection of condominiums housing affluent professionals. He worries that the character of the city has changed. "Money just drives the discussion. In the presidential, Bernie Sanders was my guy for that one reason," Espinoza said. All the money pouring into cities is creating new problems. A Brookings Institute study last year found the nation's largest cities have higher rates of income inequality than the nation as a whole. Predominantly city-based Democratic congressional districts have higher rates of inequality than Republican ones, according to a review of Census data. Rising rents and displacement of longtime residents is a typical urban worry from Seattle to Miami. Richard Florida, a prominent urban theorist, argues that living in a booming city, with its high cost of living, can be tougher than living in a slowly depopulating rural area. "People in urban and rural areas are living very different lives and experiencing the world very differently," Florida said. Rural areas have their occasionally homeless, like Bill Hendren, but the problem has soared in increasingly expensive cities like Denver. Shelters there report a sharp rise in population, even among working people who suddenly can't find a place to rent. Robin Sam, 62, who has lived on disability for decades after being injured in warehouse work, fell through the widening cracks in the rental market himself. He'd counted on leaving his previous apartment for one in an apartment complex built in his old neighborhood, Denver's historically black but rapidly-gentrifying five points. But the complex - located across the street from a library named after Sam's uncle - told Sam at the last minute that they were raising the rent on the unit to more than the $1,055 his Section 8 voucher would permit him to pay. Three years ago, the last time Sam was between apartments, it took him two weeks to find a new place. It's been more than six months now. "I feel like I'm being pushed out," said Sam, who is black. He recalls houses and apartments being barred to blacks in his youth decades ago, but senses something else at play now. "It's money - and money changes everything," he said. Text from the AP news story, DIVIDED AMERICA: Town and country offer differing realities, By Nicholas Riccardi.